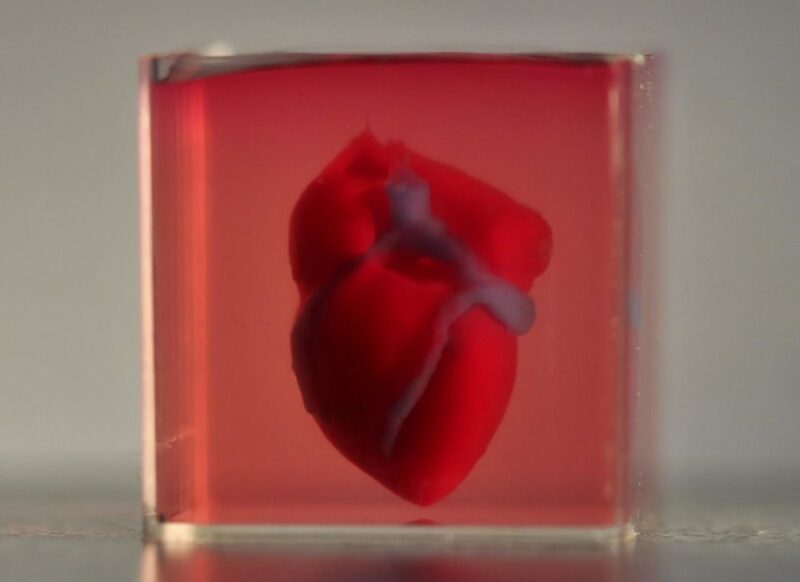 In a big breakthrough, scientists in Israel have produced the world’s first 3D printed heart using human tissue. The miniature heart that scientists created comes complete with vessels, collagen, and biological molecules. Although it is not the first time that a heart has been produced, but those synthetic hearts were crude robotic models. This is the first time that a ‘bioficial heart’—a replacement heart has been developed from the patient’s own cells. Scientists at Tel Aviv University are hopeful that in future a full-sized human heart produced using this technology would help in saving the lives of thousands of people who die every year waiting for transplants. Although it is a great achievement… but much more work is still required for it to be ready for human transplants.